This week I'm excited to highlight my recent experience checking out Walgreens Health Care Clinic. About a week before Memorial Day I caught a nasty stomach bug and after 4 days it seemed I still couldn't shake it. Worried I called my doctors office and the earliest appointment they had available was in two weeks! I had a trip to Los Angeles and Las Vegas scheduled in less than 5 days and I had NO TIME to be sick! So I made a trip to a Chicago area urgent care clinic for a quick diagnosis and prescription to get me back towards 100% before my trip. Success! It's always important to make sure you have options to handle medical emergencies in the event you can't get in to see your doctor, especially while traveling. So when I discovered that select Walgreens have a Health Care Clinic located within their stores I was intrigued to learn more. All the food trucks were offering a variety of full and half size selections for $5 or less. Super cheap:) My friends and I kept full on tamales, jerk and curry chicken, popcorn, grilled cheese sandwiches, pancakes and gelato. I enjoyed chatting with the food truck owners and hearing about their passion for their food specialties. Complimentary drinks from Izze, St. Claire Vodka, Dos Equis and Courvoisier kept us refreshed as we walked back and forth between the indie market and VIP lounge. Walgreens UP Market passed around lattes, teas and yummy banana smoothies all day long. This was definitely a festival with a unique variety of food and every bit of it was delicious! 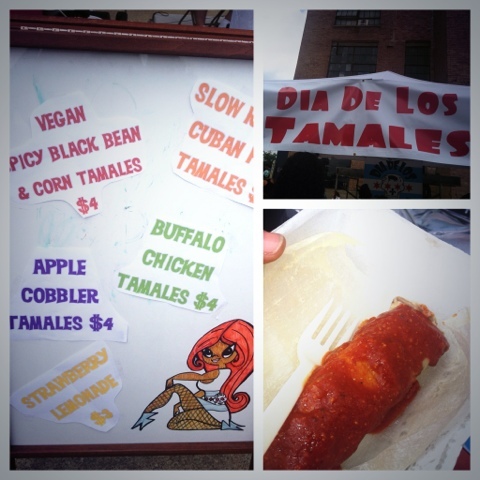 @diadelostamales had so many different options. My friend enjoyed Cuban pork and I loved the vegan black bean. 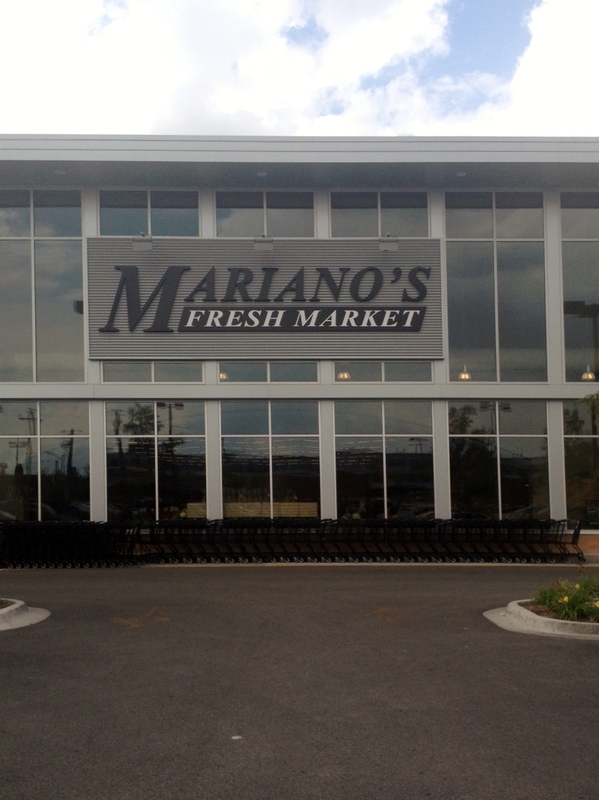 This week I am highlighting one of my favorite one stop shopping destinations in Chicago, Marianos Market! Mariano's Market is one of my favorite stores to get all my grocery shopping done. Normally grocery shopping ends up low on my list of priorities because it can be so consuming and frankly boring! However discovering #MyMarianos earlier this year changed all of that! Mariano's offers a shopping experience that makes the mundane task of grocery shopping an exciting adventure. The first time I went I spent almost 3hrs in there lol :) Since I am often "on the go" and traveling I like to make the most efficient use of my time when home. Hey there and HAPPY SUMMER! 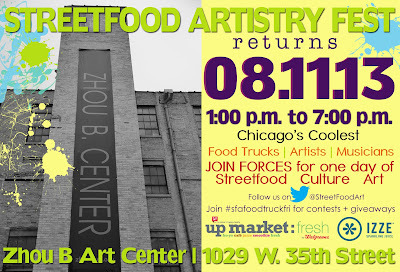 This week I am super excited about attending the Third Annual Street FoodArtistry Festival on Sunday August 11th. Street FoodArtisty Chicago. The SFA fest is a celebration of Chicago's hottest street food , culture, art and music. Chicago is home to one of the more developing food truck industries around the globe. StreetFood Artistry will host some of the most trending local trucks featuring fresh and interesting culinary selections. SFA is also a non profit supporting creative enterpreurship. It's a party with a purpose!